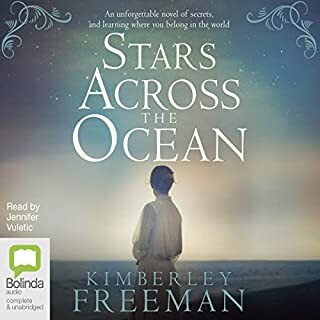 A talented sailor, Ally is about to compete in one of the world's most challenging yacht races when she hears the news of her adoptive father's sudden death. In the aftermath of the harrowing events that follow, Ally pursues the clues her father left her to the icy beauty of Norway. There, she begins to discover how her story is inextricably bound to that of a young unknown singer, Anna Landvik, who lived there over 100 years before. Enjoyed the story and like this series, however I found the narration quite irritating. I had to persevere. The accents drove me mad and it was difficult to listen to at times. Might be one better to read yourself. I love the story but the recording and narration is so hard to listen to. Giving up! A gripping story of hope, dreams, tragedy and new beginnings. Very hard to put down. 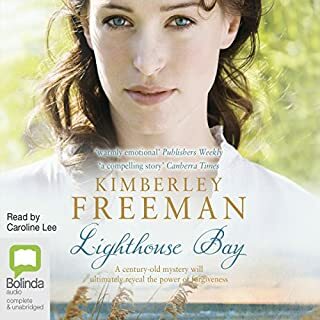 Having read and loved the first book I was expecting less from the second, as boats and music aren’t usually my thing, but instead I loved loved loved listening to this story. liked the story and the way the author interveaves the characters. loving the series ! 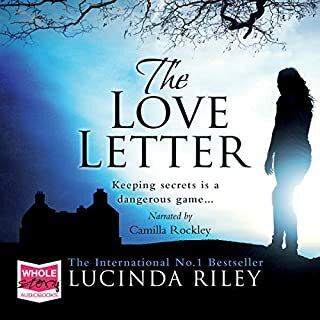 Loved this book and All Lucinda Riley’s books . 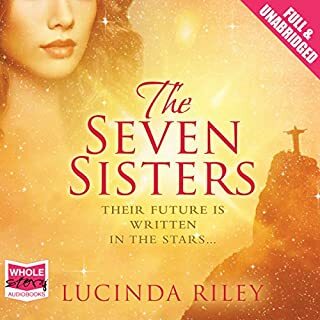 The Seven Sisters are a fabulous read with at least two storyline’s in the one book. A brilliant writer . Up to book 4 now . I listen to audible as I do my housework and ironing . Where and how Lucinda gets her storyline’s from is a gift from God . Keep going Lucinda . You are just one of the best ! 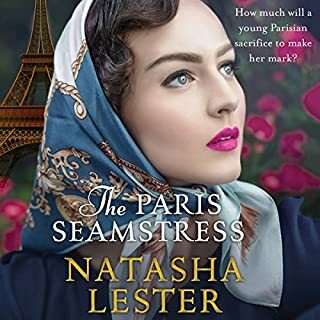 I enjoyed this story immensely,the second sisters quest to find her ancestry is as full of surprises as the first novel in the seven sisters series. This series is a historical story within a story ,with a third layer emerging within which all is contained,hinting of the mystery of the father figure, a very postmodernist approach.I look forward to reading about the other sisters as the fabric , of old and new ,of past lives and present lives is joined together to create a whole . i love this story and I think it is a perfect continuation of the seven sisters. It took a bit of effort to get used to the accents in witch the book has been read in but you drift away into the story fast enough. Narrator awful, couldn't finish book. 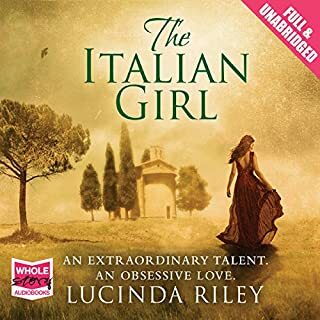 Would you try another book written by Lucinda Riley or narrated by Noreen Leighton and Rachel Lincoln ? I have read the first book in this series and really enjoyed it. However I don't think I will be finishing this book - the second book - as I am not enjoying the performance. What didn’t you like about Noreen Leighton and Rachel Lincoln ’s performance? The main speaker spoke English with a very heavy accent and was difficult to understand. Speed of reading was inconsistent. This was not a issue with the narrator of the first book. I really liked the storyline, but I did not enjoy the narration. I'm not found of entire books read in faux accents, and I cringed every time the narrator pronunced a Norwegian word! (And there are a lot of them, and not even hard ones). I guess that a non-Norwegian listener won't find this as bothering as me, but this ruined a lot of the listening experience for me, at least in the first part of the book. Aside from this, it was interesting to listen to a book set in Norway. I'm so disappointed in this adaptation as I had just finished "The Seven Sisters" and was hoping to move to the next book. I simply can't get past the terrible narration. The accent is abysmal and so distracting that I've given up on this book. I read the first book in this series "The Seven Sisters" and wanted to continue with the story of the next sister.... BUT I haven't even finished the book yet, and I CANNOT STAND the narrator!!! I've been trying to figure out which one is the main narrator, and went online to each of their websites and listened to their voices, so I'm pretty sure the narrator who does the girls' voices is Noreen Leighton, but not positive. Anyway, she is simply awful! She tries to do the sisters' French accents, but narrates with a clipped, German-like cadence. It's like hearing fingernails on a blackboard! I know the story will be good as the first book had a very good story, but WHY did either Audible or the author pick this completely terrible narrator??? It's so difficult to listen to her on Audible! I'm not sure what voice(s) the other narrator is doing - I haven't heard yet, I don't think. Unless, Rachel Lincoln is the girls' voices and Noreen Leighton is the boys. Not sure, but whoever is doing what, I cannot STAND listening to the voices! Please don't have them do ANY other books, especially from this series. 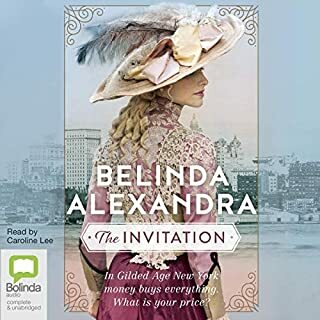 I won't be able to download them from Audible, but will have to buy the book and read it for myself - which I don't want to do as I do like to listen as I'm driving. Just don't use these narrators anymore!! UGH! As others have said - the pronunciation of Norwegian words was truly horrible. They weren't even hard words in Norwegian. Was it not possible to find someone who speaks Norwegian to do the narration? Or at least talk to the people doing the narration and coach them? It was very distracting and really took away from the story for me. Which is sad because I was really looking forward to a book that took place partially in Norway. 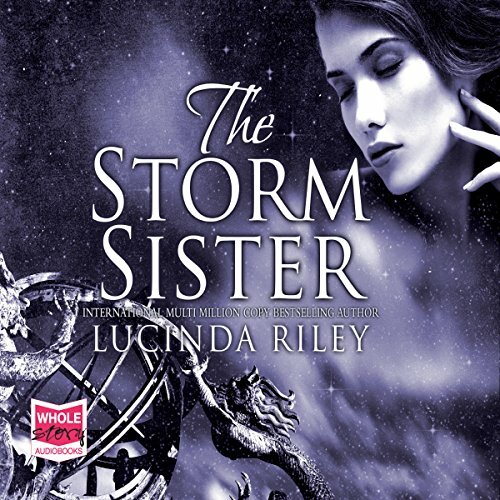 Would you consider the audio edition of The Storm Sister to be better than the print version? I am from Norway and the norwegian narration is terrible. The Swiz/French is just annoing. I should have read the printed version. Just read it and keep it in english. Incredible story, writing and narrative. Loved the characters, the intrigue, history and how it was all intertwined. A very enjoyable book. Where does The Storm Sister rank among all the audiobooks you’ve listened to so far? It's an high 8 out of ten. Which character – as performed by Noreen Leighton and Rachel Lincoln – was your favorite? If you could take any character from The Storm Sister out to dinner, who would it be and why? Electria, she is a feisty one! This is a very good book and well written. The story and character building is wonderful. It was a bit different from the usual romance story line. This is the first review that I have written. 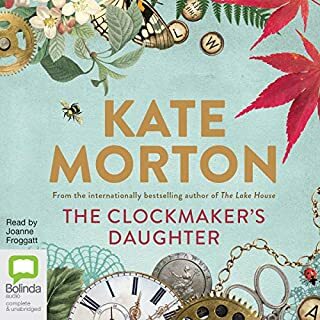 I have listened to well over 100 audiobooks and this one stood out because I found the narration to be well below the quality that I have come to expect. The phrasing was done so poorly that I could hardly believe it and at times actually got me confused---pauses in the middle of a phrase between subject and predicate, etc. I was actually talking to myself in my disbelief and irritation. 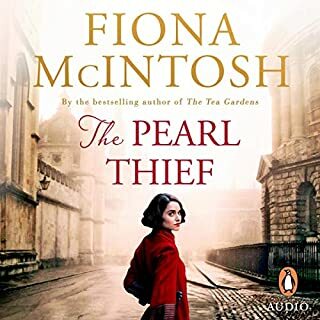 I kept listening because I couldn't believe that Audible would let this get by, hoping that it would improve and then I got sufficiently caught up in the story to tough it out. I don't care if you post this or feel free to paraphrase because I know it is harsh and likely insulting--I just want you to know how disappointed in Audible I am. I am not exaggerating. This was 4th grade level reading. This was not a performance. I should have just stopped listening but the story was just interesting enough to keep me hopeful. 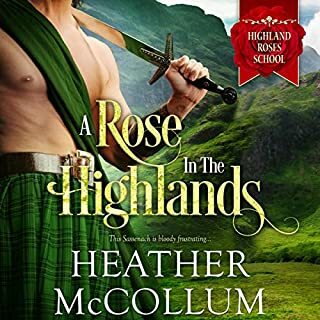 I would definitely recommend this incredible series to all friends - but, the voice in this Audible performance is almost impossible to listen to! The performance of The Seven Sisters was terrific, believable, as if you were right there and could not stop listening. Something went haywire when they hired this reader - she doesn't sound like a sailor, sounds affected and is very difficult to listen to. So dissapointed as this was supposed to help us drive 3 days and although we tried every speed to vary her voice, we finally turned it off and listened to music. Bummer! Lucinda, your books are wonderful...this reader does not measure up - please redo!!!! This is a fantastic series - can't wait for more...but, use a reader as in the first book - she was terrific! Worst narration of any book I have listened to. They story was very good, so good I bought the Kindle edition so I could follow along as I could not understand the Norwegian words. Swedish, my language, and Norwegian are so close in pronunciation I am able to communicate to a Norwegian speaker without issue. This narrator pronunciation was horrific and detracted from the story, (hence the reason for the Kindle book) and the French accent was laughable as it was annoying. Big disappointment after the wonderful narration of the first book in the series. PLEASE do not use the same narrator for future books!!!! Would you be willing to try another one of Noreen Leighton and Rachel Lincoln ’s performances? Who was the most memorable character of The Storm Sister and why? What would have made The Storm Sister better? Who might you have cast as narrator instead of Noreen Leighton and Rachel Lincoln ? 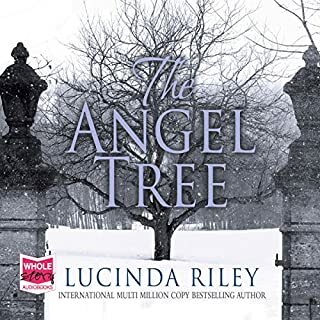 I have listened to several of Lucinda Riley's books and enjoyed them very much. 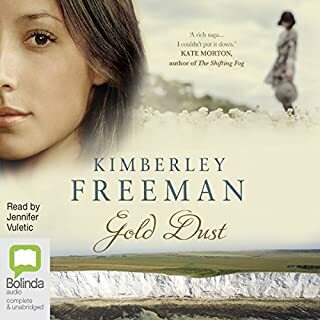 While I enjoyed the story in The Storm Sister, I do question the artistic licence the author gives herself with regards to the main character's implied blood ties to a famous historic character. I was not really impressed with the narration. I thought that the French accent was unnecessary and didn't really add to the story, rather the opposite in fact. And the Norwegian part was a disaster! I am a native Norwegian, and the pronunciation of the Norwegian words like Mor (mother), Far (father), Kjære (dear) and location names made me cringe every time. The Norwegian language has 3 letters that don't exist in English - æ, ø, å. The narrator got them frequently confused, and repeatedly used the sounds in words that don't even have those sounds. I realise that Norwegian isn't a widely spoken language, but this doesn't justify not doing your research and making sure that words are pronounced correctly. 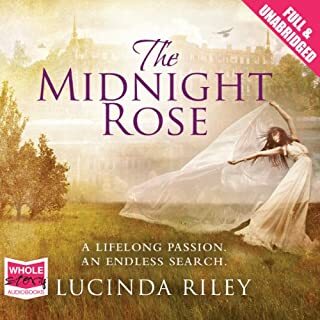 If you’ve listened to books by Lucinda Riley before, how does this one compare? Excellent book, wish I had read it! I really enjoyed The Storm Sister, but it was badly let down by the narration. Amazing brilliant story. I thought the first in the series was great - The Seven Sisters - but this takes you further into the intrigue. 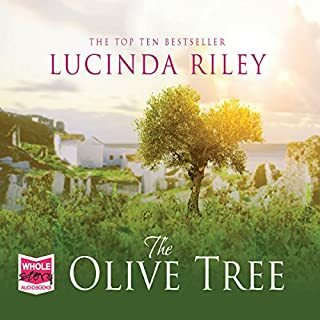 I love all of Lucinda Riley books but this series promises to be outstanding. Enjoyed thus second book of the series. Well read and addictive bedtime/travel listening. I would highly recommend it. Was The Storm Sister worth the listening time? I had to stop listening to it and read the rest of the book. The faux-French accent was extremely off putting. I don't really understand why it was narrated like that? The first book with Maia wasn't in a French accent and they were all supposedly brought up together from babies! This really annoyed me. 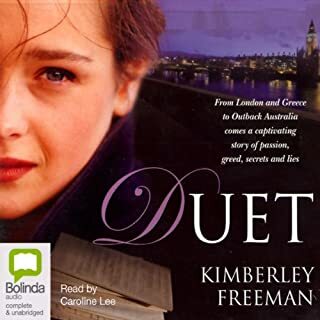 I so much wanted to listen to this book, after listening to Seven Sisters (first book in the series). But the narrator of this book just made it absolutely impossible. 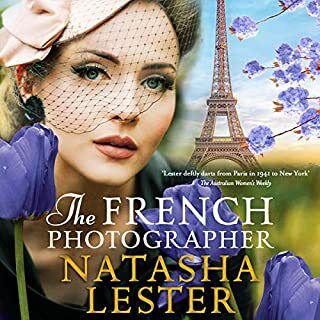 I don't know which of the two narrators the book starts out with, so it is hard to say which of them it was that made the listen impossible, but when talking like Allie - and not just when Allie talks, but also when Allie narrates, the narrator takes on a fake French (?) accent that mostly sounds like she is lisping. Maybe she is attempting a Swiss style French accent, I don't know, but I could not stand it, and I'm sad about it. 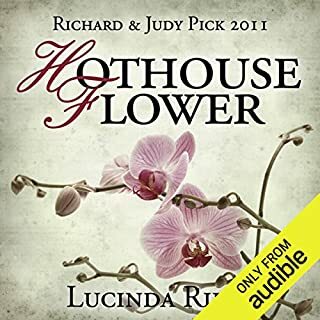 I love lucinda's books but this was my least favourite and made worse by hideous German accents when in Norway making it hard to get into - I believe it'd be better read but I don't recommend listening to it. Another Intriguing Installment of the Seven Sisters, bringing Allys search for her ancestry alive. 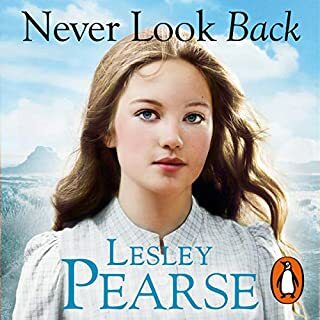 I particularly enjoyed the tale of her great great grandmothers early life in Norway and how it deftly toed into the present. At times the story read like a saga but managed to keep my interest until the end. Loved theending and enjoyed the teaser of of Star's tale at the end. Narrating was very well done.